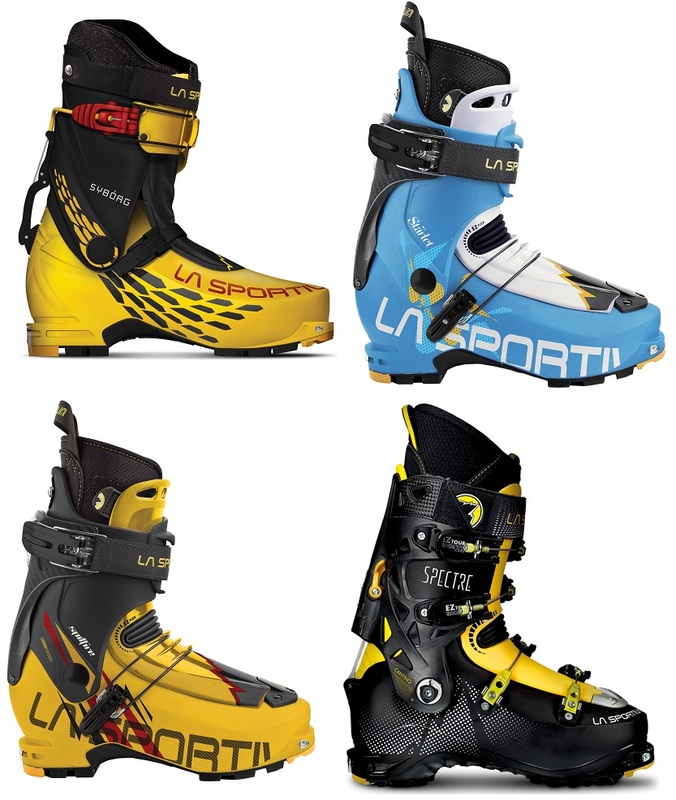 This is the place to find replacement boots parts for La Sportiva ski boots. You can also use some of these parts on other boots if you’re in a mod’ing mood. Pegasus Buckles– Replacement buckles for the Spectre and Sparkle boots. Simple lightweight buckles that can be adapted to other boots as well. Catches sold separately. Pegasus Buckle Catches– The catches for the Pegasus buckles described above. 1.0 Instep Buckles – Lower buckles for the 1.0 version two-buckle boots: Sideral, Starlet, Spitfire. Come with rivets that must be pressed on. 1.0 Instep Wires – Replacement wires for the lower buckles on the two-buckle 1.0 boots (Sideral, Starlet, Spitfire). 1.0 Cuff Velcro – The Velcro straps with a metal bail that form the upper cuff of the 1.0 Sportiva boots. Also works for the Sideral & Starlet 2.0. Syborg Instep Buckle Strap x1 - The plastic toothed buckle strap for the Syborg boot. Sold individually. Spitfire 2.x Instep Buckle x1 - Replacement instep buckles for the Spitfire 2.0/2.1. Sized small or large. Sold individually. Spitfire 2.0 Velcro Top Straps x1 - Upper cuff strap that controls the ski/walk mech on the Spitfire 2.0...not the Spitfire 2.1! Sized for two shell sizes. Sold Individually. Spectre Ski/Walk Mechanism- Complete replacement of the ski walk mechanism including lever, catch and latch. Sold individually, left or right. Spectre Cant Kit- Replacement for the adjustable cant rivet on the Spectre cuff.Sold indivudually. Velcro Power Strap- Replacement power straps for Syborg, Spitfire, Sideral, Starlet Sold as set. Can you still obtain the "power strap" and spoiler for Sideral 1.0 (the optional strap that goes above the main cuff buckle)? If not, are there any other straps from similar LaSportiva boots that will substitute? Do you know if Spitfire 2.0 / Syborg / Sytron uses the same spoiler/strap? Christopher, Not sure that is still obtainable. I don't remember what the power strap looked like and cannot find any pictures. I can't tell how it attaches. Can yous end us a picture of where it would attach, to help@skimo.co. Thanks Jeff. Will you guys have more of them in the future or do you know somewhere else I could get one? Thanks. Abraham, Try La Sportiva warranty. I had good luck getting some parts for myself from them. Do you guys still sell the cant screw? It's not on the list of options to buy. Thanks. Abraham, it is a very popular part, we are sold out. Do you sell a replacement for these Pegasus Plus buckles, found on the Synchro? John, Yes those are the Synchro posn2 . That means position 2, which is the second buckle from the toe. It has a smaller buckle, but if it is the same length is the same it may work. Does the Spitfire 2.0 Velcro Top Strap also come with the metal loop that clicks into the buckle? Also, my spitfires may be an older model - see sim photo. Is this the correct part? Hi Tim, that is the Spitfire 1.0. Back then, it was just called the Spitfire. Unfortunately we haven't been able to get the straps for that boot in a while. How much for a spectre (1st gen) walk mechanicism ? Hi Dan, they are in the drop list as Spectre Ski Walk Mechanism, currently priced at $39.95 per side. Looking for the canting rivet for a left Spectre 1.0 boot. I don't see an option in the dropdown menu... do you have any in stock right now or know where I could find one? Hi Keith, unfortunately we do not have any in stock right now. 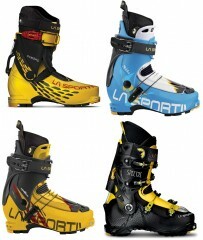 You may try contacting La Sportiva directly to see if they have any in stock. Can you order me a La Sportiva Specter 1.0 tongue, if so how much will you charge? It would be the right sided tongue. Hey KC! Unfortunately it looks like we're unable to get that part right now, sorry. Will the 1.0 instep wires 28-295 work to replace a broken lower buckle on the Starlet 2.0 (previous version than shown here) size 24.5? If not, which option will work? Hey Suz! I'm thinking probably not, I think it'd be way too long. The Pegasus buckle mod is probably your best bet here. I need a canting part for a Right 1st gen Spectre. I also find that the Right boot will resist going back into ski mode (issue present before the cant screw fell out), do you have replacement parts for these? Hey Irishkoot! Canting kits are sold individually and doesn't matter which side you throw them on, though it sounds like potentially the ski/walk mech needs replacing (which it looks like we also have at the moment). Hey Iraklis, unfortunately I don't have any of those for sale at the moment. I would contact Sportiva directly about that, it looks like it may be a warranty issue? Do you have any Spectre 1.0 cant kit? Hey Kund! Sorry to be the bearer of bad news but I don't have any at the moment and the future of those parts in our store for the rest of the season doesn't look very bright. I need a replacement tongues for a size 29 spectra 1.0. The plastic on mine broke near the flex zone. Do you know if this part is available? If the 2.0 tongues fit that would be fine also. We don't have any in stock, but it's something we could potentially order for you if you'd like! I see similar questions asked above, but I'll ask again and hope for the answer I want. I have a pair of TLT5 boots with the junk in-step buckle it came with. I see your webpage linked to the same wildsnow.com page I found about modifying boots with different buckles. I realize the boot was not designed to use the pegasus buckle, but if I were to buy one and rig it on there myself, what length would work the best? The toe buckle, or the cuff buckle? "relax, alright? My old man is a television repair man. He has this ultimate set of tools. I can fix it..."
Hey David, thanks for reaching out. Tough to say exactly as it'll depend a bit on the size of boot you are wearing. Take a flexible tape measure, accessory cord, shoe lace, yarn, something along those lines, and measure from rivet hole to rivet hole on either side of the shell. Relay that info back to me and we'll get you the proper buckle size. Spectre canting kit - is it the same as cant assembly kit (screw plus bushings that go on the outside of the hinge)? Hey Pavel! Yup, you got it! They are sold individually, but it looks like you just got an order put together anyways! It's headed your way! I am looking for a replacement buckle for for my La Sportiva Sparkle Boots. The wire is fraying badly. It is the second buckle up from the bottom (I guess this would be the instep buckle?). Is the Pegasus Instep Buckle the correct piece? Also, do you sell the white plastic buckles for the tail of the Pomoca Climb Pro S Skins? Hi List, yes that is the instep buckle and it is Pegasus-flavored. The tail clips aren't sold individually but we have full tail kits here. Choose Back Fix Tail Clip. Which Pegasus buckle is used on the sideral 2.0? Hi Patrick, it's the Instep buckle. Could you tell me if you have this item for my boots, what its name is and how much would it cost, please? Hi Eduardo, looks like a Pegasus Instep Buckle. Is there a replacement for the yellow plastic piece that is attached to the spring that locks the heel down (takes it out of the walk mode)? That broke on me along with a few buckles , Cant bolt and a wire. Hi Kevin, we're going to need to know what boot you're talking about. Its the black and yellow spectre boot. Hi Kevin, we are trying to track down some parts for you, no luck yet. We just received some of these into our inventory. They are listed in this section as the Spectre Ski/Walk Mechanism and are sold by left or right side. Are the buckle catches for the sparkle/spectre boots still available? I did not see them in the listing and am on the hunt for one. Hey Rebecca, we just barely got some in! Check back in a few hours, we should have them listed soon!